Well, we have survived the second week of school! Woo hoo! 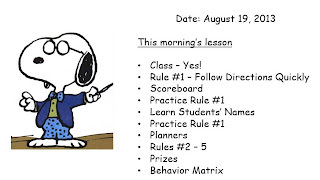 Time for a three day weekend, and of course, Five For Friday with DoodleBugs Teaching! 1. I am LOVING the First Ten Weeks: Mentor Sentence Unit from Ideas by Jivey that I bought during the big TpT sale! One thing that I really don't think I taught as well as I could have last year was grammar. Our district has adopted the Common Core in full force, and in doing so has pretty much dumped all of our text books. 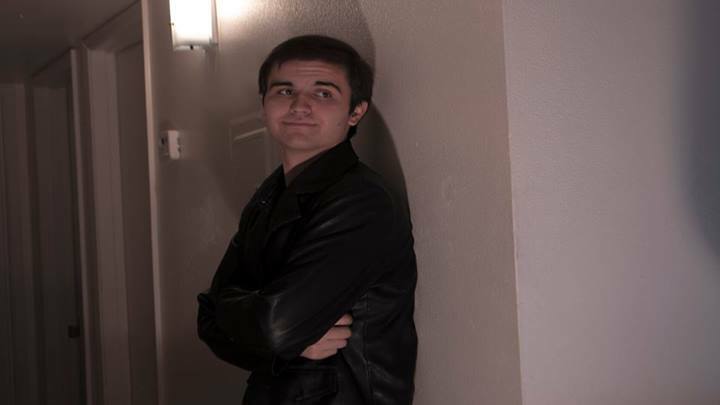 I felt like last year I was just piecing things together. 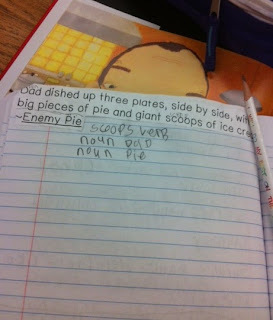 I love the flow of her unit, and I feel like my students are gaining so much more from this. Even though things aren't perfect, as you can see above, I know where my students are and what I need to do to get them there. I love having a plan! 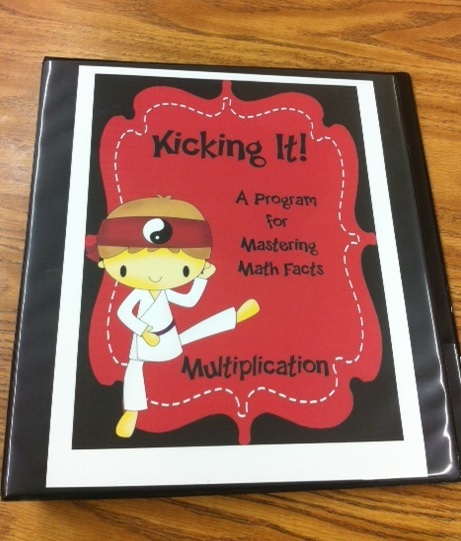 My kiddos have been hard at work Kicking those math facts! 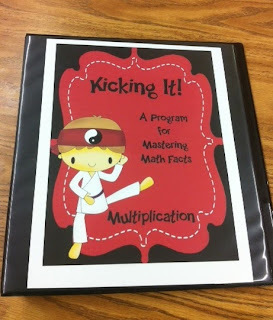 This is similar to what I used last year, but they are loving the new karate style theme! 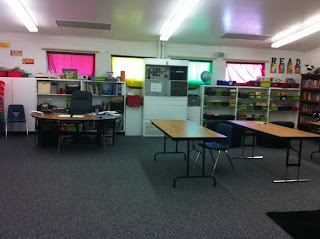 I will be posting this to TpT soon - hopefully this weekend. 3. 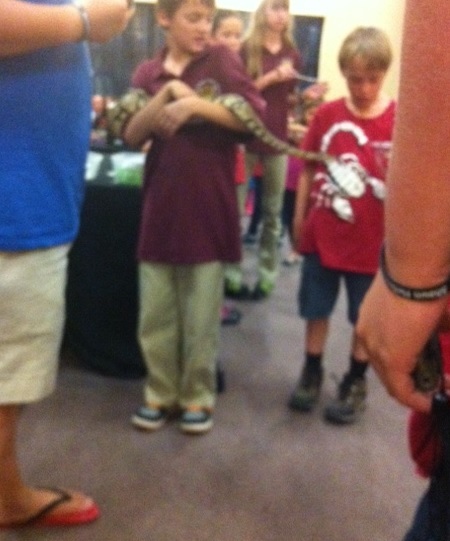 Reptiles! 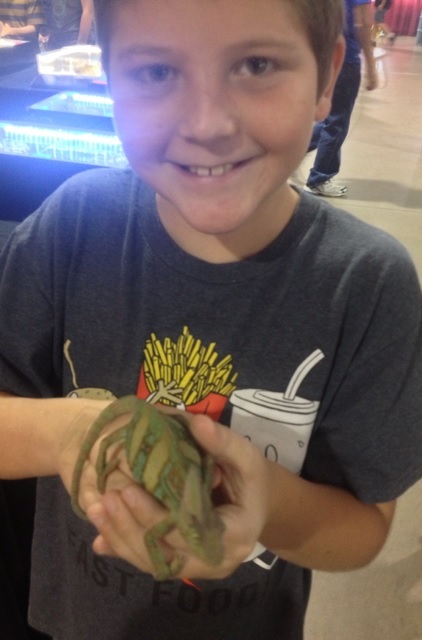 My boys have gone reptile crazy! My husband took the youngest two to Repticon, a big reptile convention. 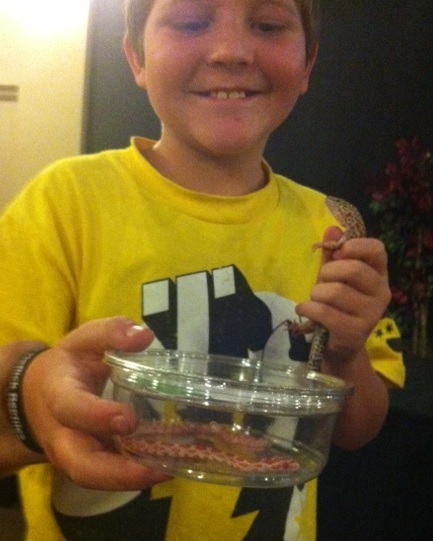 While at the club, Cody won a new reptile - A corn snake! Yikes! I am not sure what I think about this new hobby :/ - but they are loving it. 4. Birthdays! We have LOTS of birthdays in August and September, and I always make them wear the birthday hat! 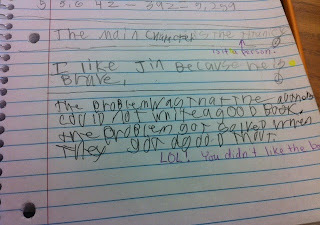 If you can't read it - it says "The problem was that the author could not write a good book. 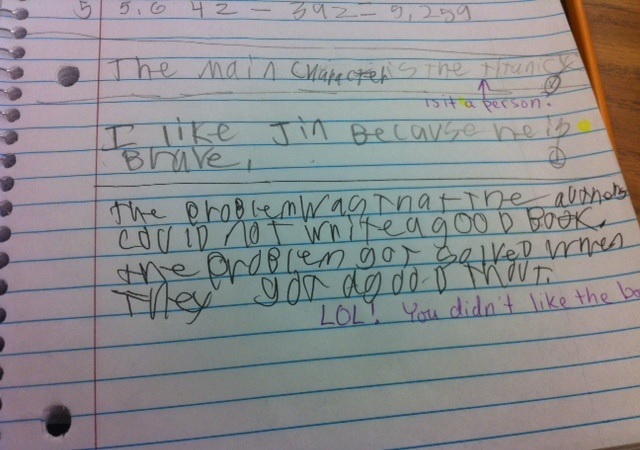 The problem got solved when they got good at it." Ahhh... I have now survived day 2 of the new school year! I was super exhausted yesterday, but today wasn't quite as bad. 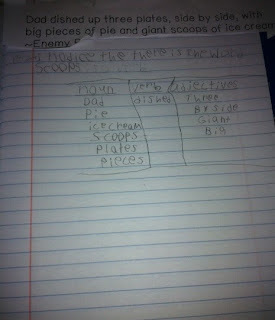 I am using Whole Brain Teaching for the second year now, and I love it! 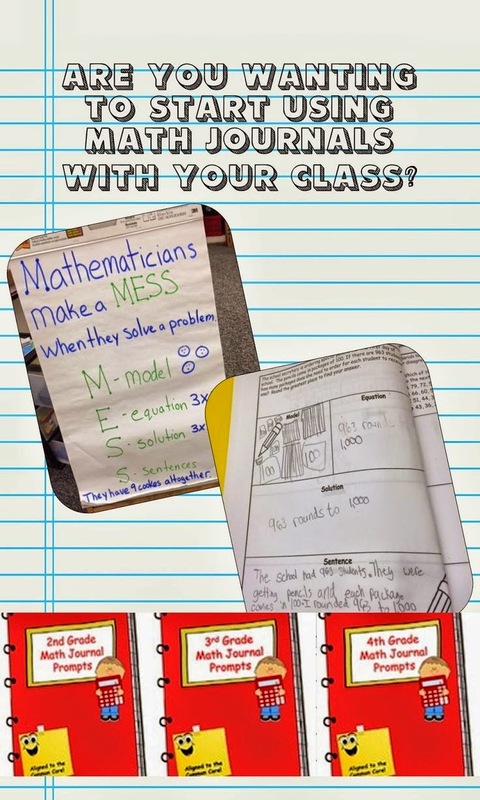 If you have been wanting to give it a try, but aren't quite sure what to do, here are a few tips for starting with your class. By the way, you don't have to wait until the beginning of a new year to try it out, you can really start anytime. Anyway, here is a video from Chris Biffle explaining the first ten minutes of implementing Whole Brain Teaching along with a few of my own implementations. Chris Biffle suggests that the first lesson be conducted in the hallway before entering the room. At my school, our students come straight to our room from recess (or are brought in early by their parents) so we are not able to do this. 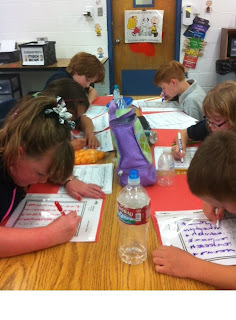 I want them to get in the routine of what will be expected in class every day. They will come in and get started right away. This fits with the Whole Brain Teaching idea of creating urgency – we don’t have one minute to waste in the morning. 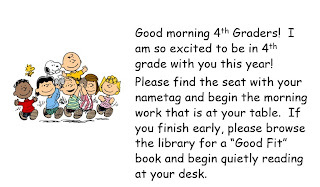 I also have incorporated his idea of letting the students know that I am happy to see them, and I have used the word please as Biffle suggests. 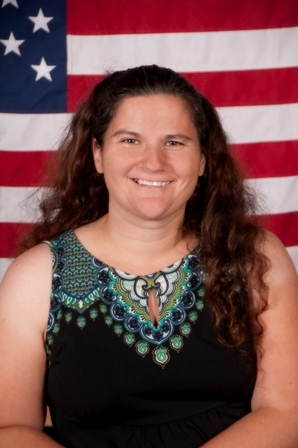 Once I was ready to begin teaching (when all of the students had filtered in and the morning announcements and pledge were over). I started the lesson suggested by Chris Biffle for the first 10 minutes of class. You can download a copy of the script I used this year here. Feel free to make it your own and practice, practice, practice until it feels natural. 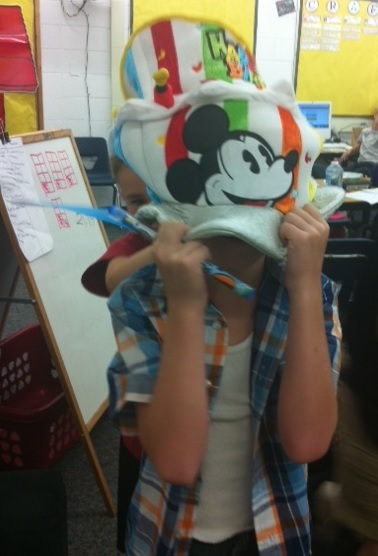 Do you use Whole Brain Teaching in your class? 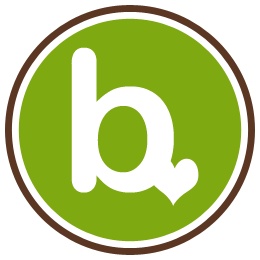 Do you have any questions or concerns about using Whole Brain Teaching? 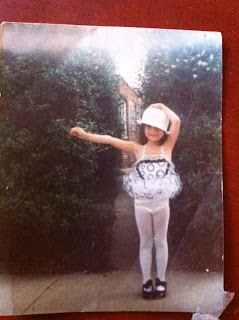 I am super behind on this week's blog hoppin'! We officially started back at work on Tuesday, and my family and I went to a baseball game at night and didn't get home until 11 - and then Wednesday was training all day and dinner with the hubby - so I have been too exhausted to blog. Too exhausted and the kiddos haven't even arrived yet! Yikes! Anyway, catching up now with my classroom tour! 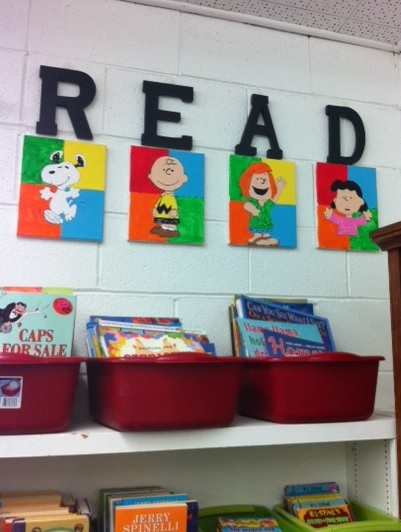 On the other side of the room are my student's book boxes for Daily 5. 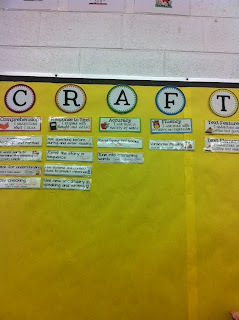 The other wall has our Daily 5 Wall and CRAFT wall. 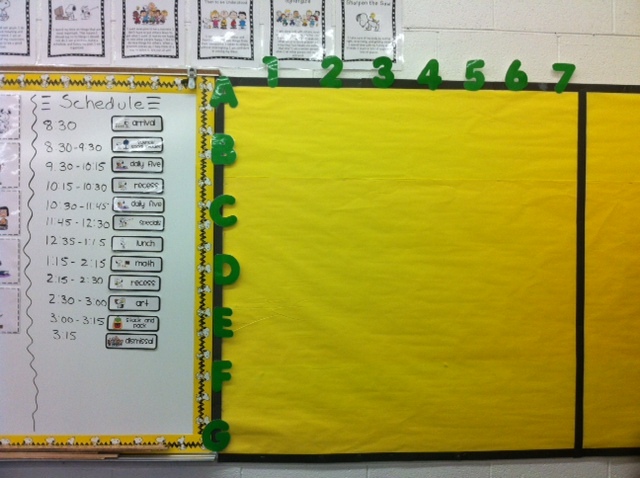 I will be adding I Charts underneath each section as I introduce them. 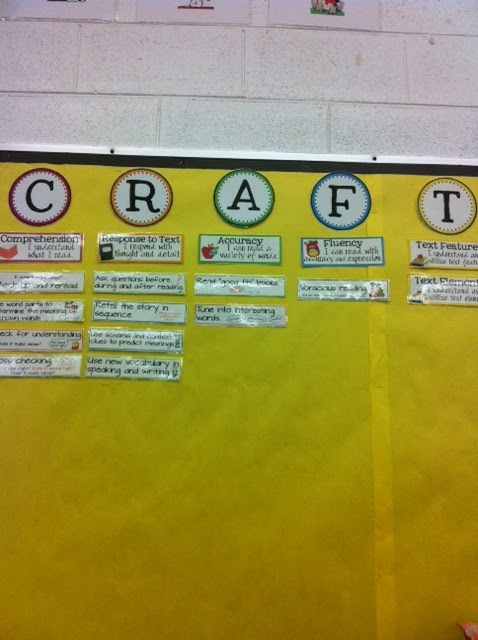 A closer look at the CRAFT board. 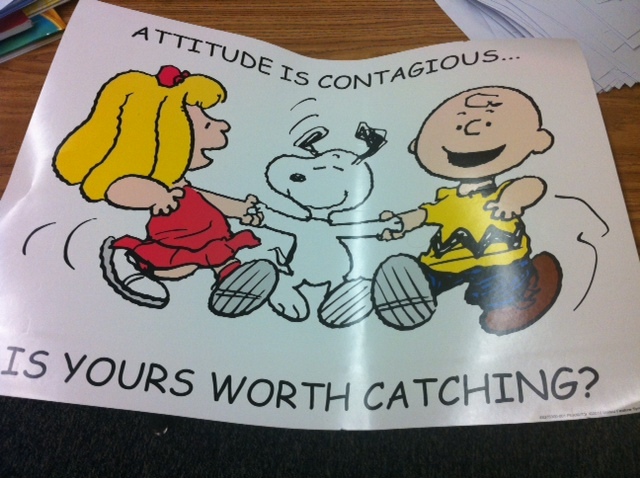 Whenever another teacher comes in my room, I always get asked about where I got this, so I will let you know that I got it from Ladybug's Teaching Files. 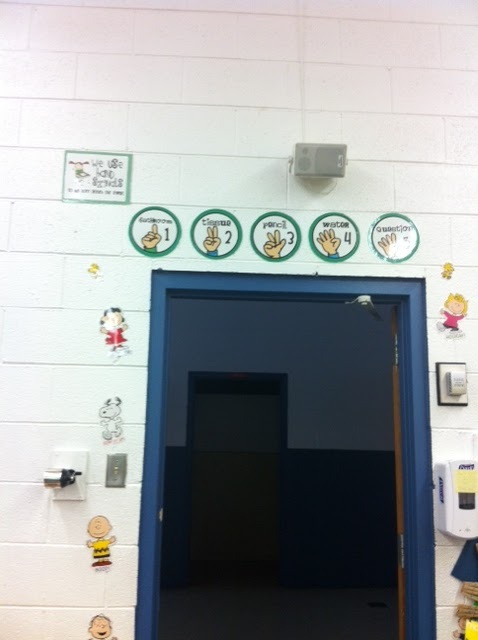 Here is my doorway with the hand signals we use in class. I used these last year and love them! 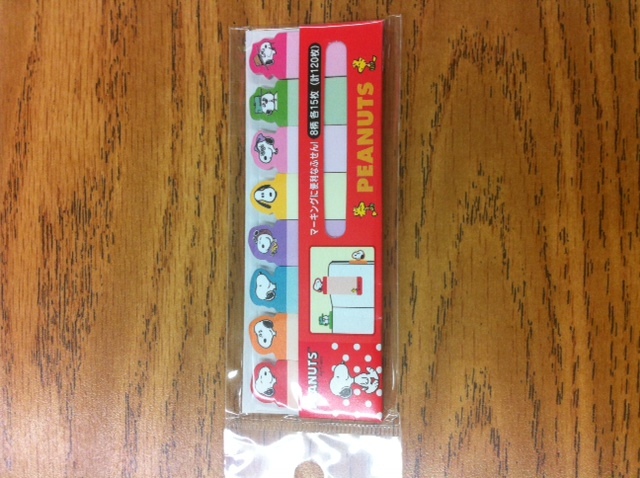 Students can ask me if they need to go to the bathroom, sharpen a pencil, etc. just by raising their hands. 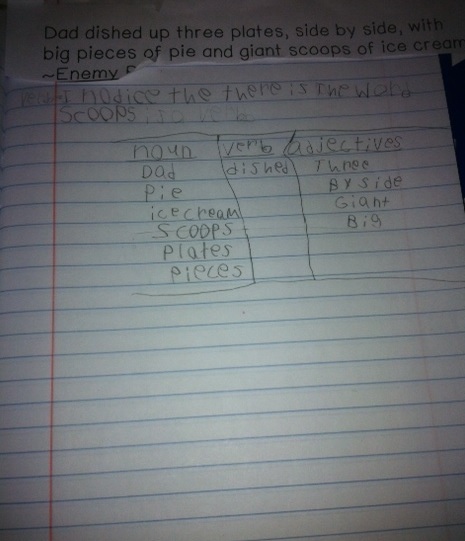 I can nod at them without interrupting work with other students. 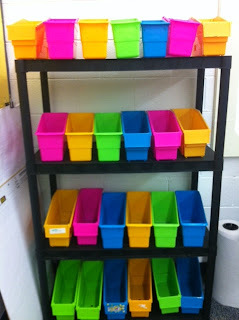 I got these from Clutter-Free Classroom here. 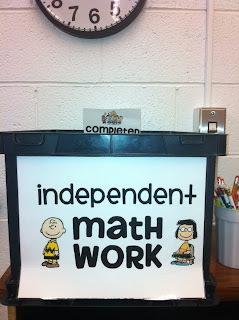 This is my Independent Math Station. 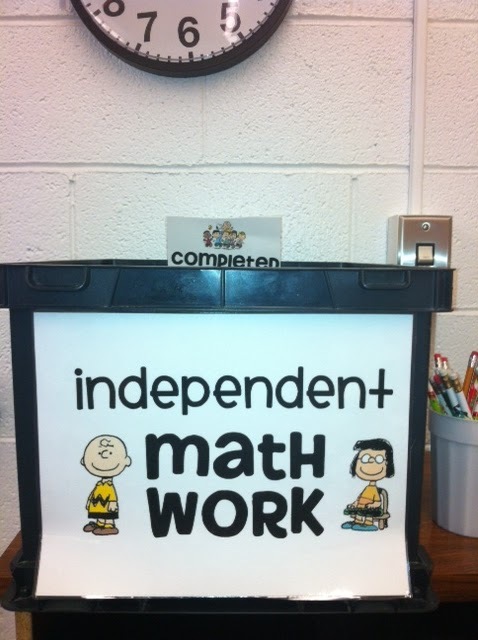 We use Accelerated Math at our school, so I made this file box to put the student's work in for them to grab. They scan their work to grade, and then put completed work in that file for me to check later. 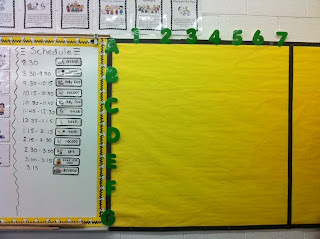 I might also add skill sheets for extra practice as needed. This is my favorite area of the classroom, the library. 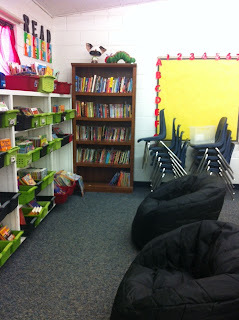 I love the chairs - they are super comfy, I almost want to keep one for myself! I got them at Wal-Mart. In the background you can see my Power Pix wall for Language Arts for Whole Brain Teaching. 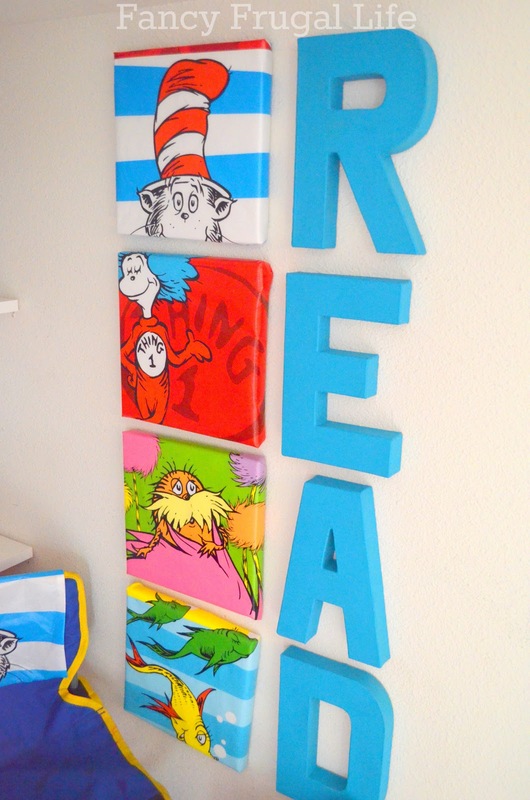 A close up of the Read sign. 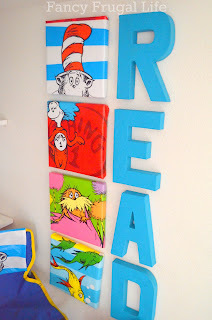 I painted the canvases this summer and am super proud of them! Speaking of PowerPix, This is my Math side which is next to our daily schedule and underneath our 7 habits signs. 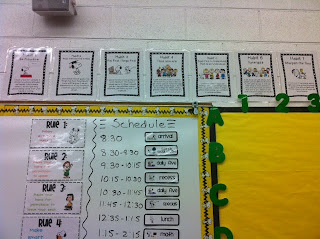 Close up of our 7 habits posters and our Whole Brain Teaching 5 Rules posters. 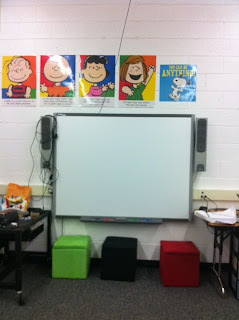 And finally my Smart Board! I didn't get a Smart Board until late last year, so I am excited to start out the year with this one! I have added a bit to my classroom decorations since I took these pictures because I got a special package in the mail that I wasn't expecting. 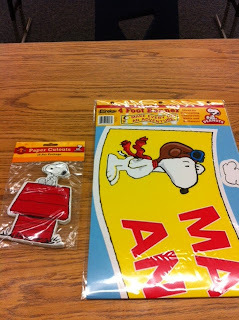 It was from my Super Sweet Blogger Exchange Partner Amy! Amy blogs at The Teacher Next Door. She had already sent me some goodies that I posted about here. 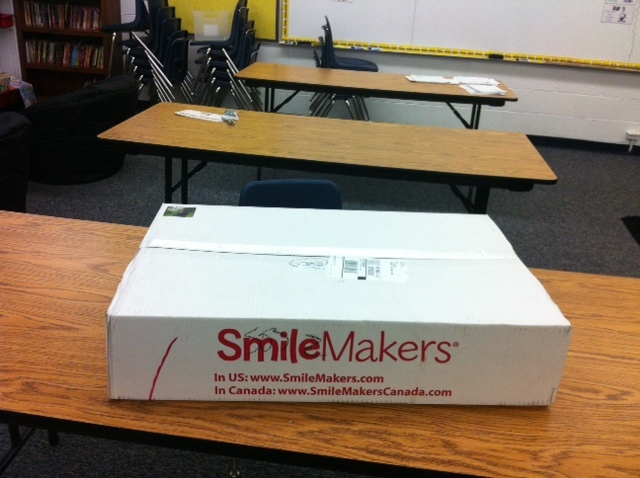 It was an awesome surprise because I was feeling a little Blech yesterday and this package made my day! 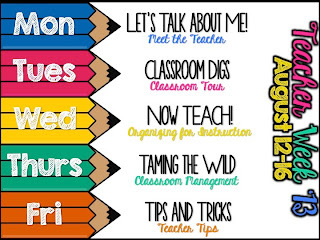 I love how supportive the teaching Blogger community is! Both of the posters she sent are hanging outside my door- I just need to take a picture of them. 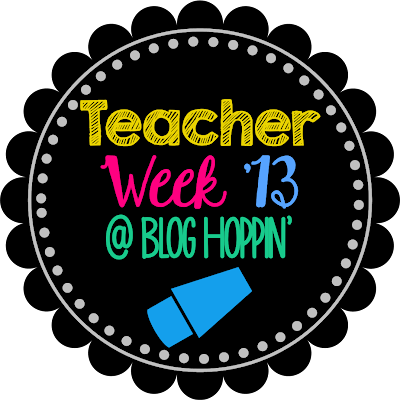 I am excited to join in the fun this year for Teacher Week at Blog Hoppin'! 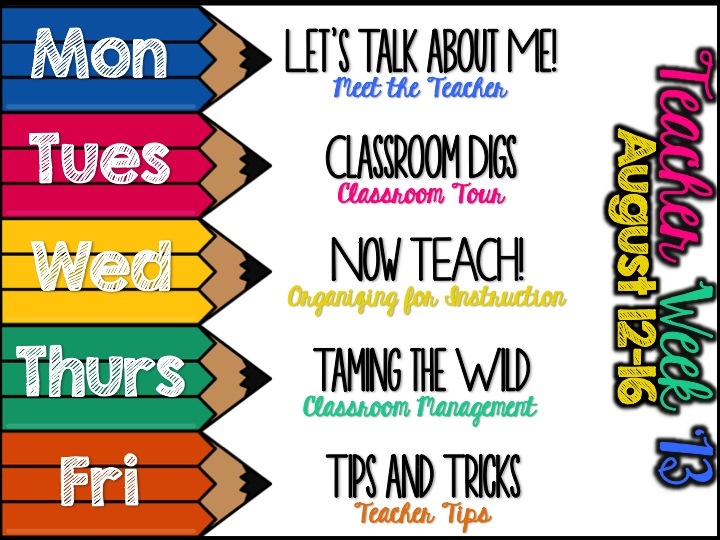 Each day there will be a different linky party with a "hot teacher topic". 1. 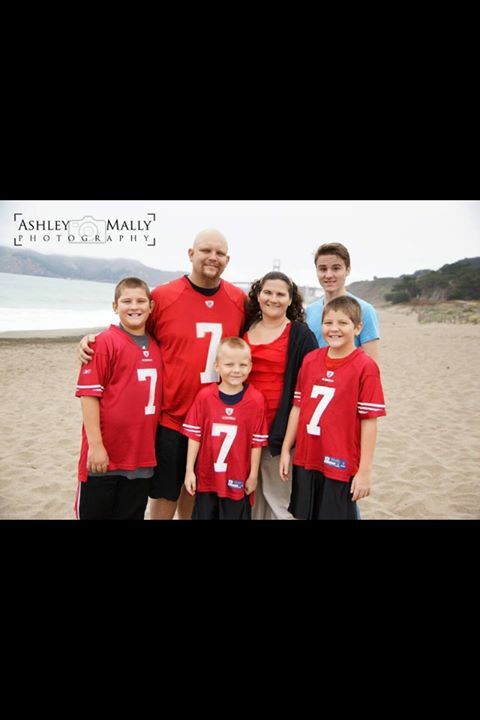 I am the mom to 6 amazing boys! 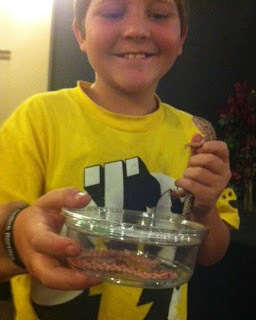 They are Parker - 20, Powell - 18, Palmer - 17, Tyler - 12, Cody - 11 and Luke - 7. 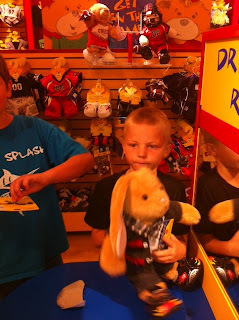 We only have 4 boys living at home with us now, and will soon be down to 3 :( It goes by so fast! My oldest - a self-portrait. My second oldest graduating high school. 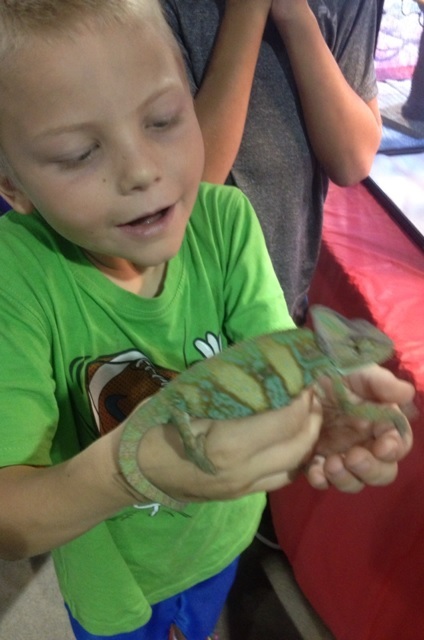 This was a big accomplishment as he earned a standard diploma despite being in special education with multiple disabilities (he has fragile-x syndrome, autism, and cerebral palsy). 2. I am married to the most amazing man ever! 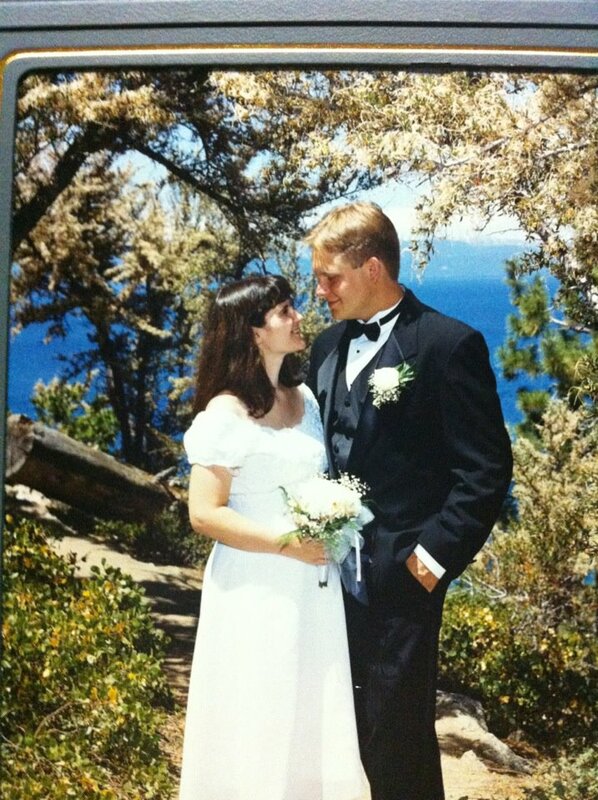 This is Ryan and I on our wedding day - we look like babies! 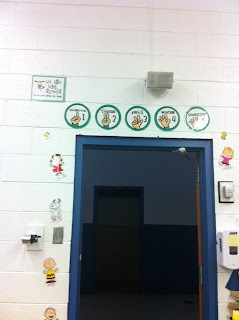 He encourages me in all I do and like most teacher's husbands spends way too much time in my classroom helping me out! 3. 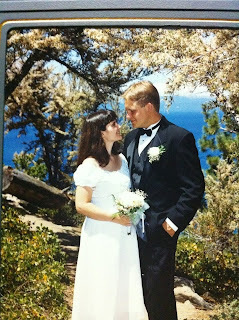 We got married in Lake Tahoe - which is where I was lucky enough to have grown up! We still spend a lot of time there each year enjoying the lake in the summer and skiing in the winter. 4. Other than our boy children, we also have a ton of pet babies - 3 dogs, a cat, a lizard, three frogs, and a fish. 5. I am on the city council where I live. I am currently serving my second term. 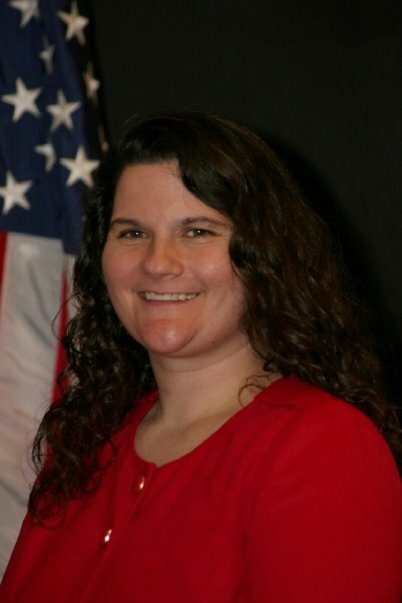 I was the first woman and youngest person ever elected. 6. I am super addicted to Starbucks. When I started eating healthier this year I gave up sugar and soda, but could not part with Starbucks. Baxter has glasses, two pairs of shoes, and two outfits. He also has a bed, pajamas, slippers, a Steeler's Uniform, a car, and roller skates on his wish list. I joked to my husband that now I know what it would have been like to have a girl who was into dolls. 8. I don't watch a lot of tv, but I do have one guilty pleasure - Dance Moms. I don't know what it is, maybe it reminds me of my childhood - lol! 9. Most of my friends have been my friends - forever! 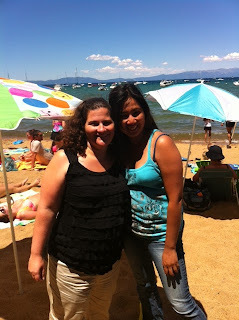 This is Amabelle who was the first friend I made when I went to school. 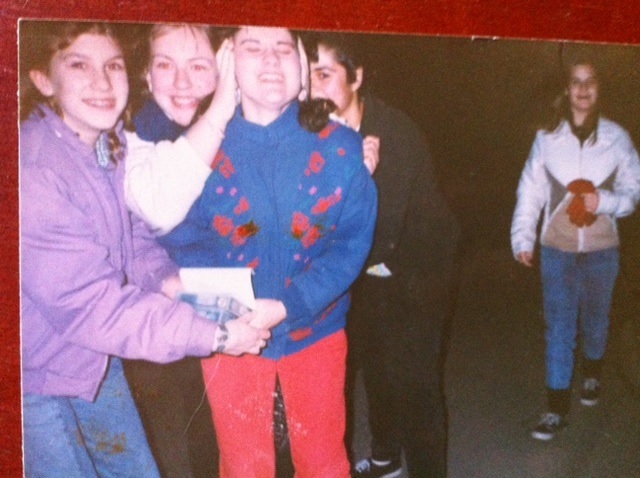 This picture is from our 20 year reunion - YIKES! 10. I HATE getting my picture taken - I prefer to be behind the camera. I was even camera shy when I was younger. 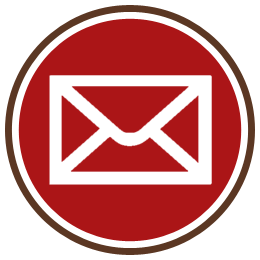 Well, now that you know a little bit more about me, click on the button below to learn more about some of your favorite bloggers! 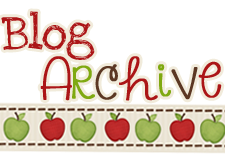 If you have a blog, join up so we can learn more about you! 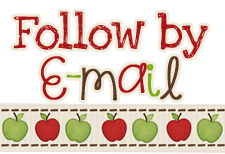 Back to School Blogger Exchange and Teacher's Notebook Sale!! 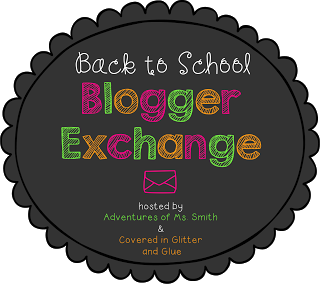 I was so excited to take part in a "Back to School Blogger Exchange" hosted by Adventures of Ms. Smith and Covered in Glitter and Glue this past month! I was partnered with a really sweet teacher named Amy who blogs at The Teacher Next Door. She actually lives in Japan which made the swap a learning experience - I got to fill out my very first customs form! She sent me some adorable Peanuts items to fit in my new classroom theme! I love this poster! I laminated it and have it hanging on my door - a great way to greet my students as they walk in each morning (hopefully with a positive attitude)! 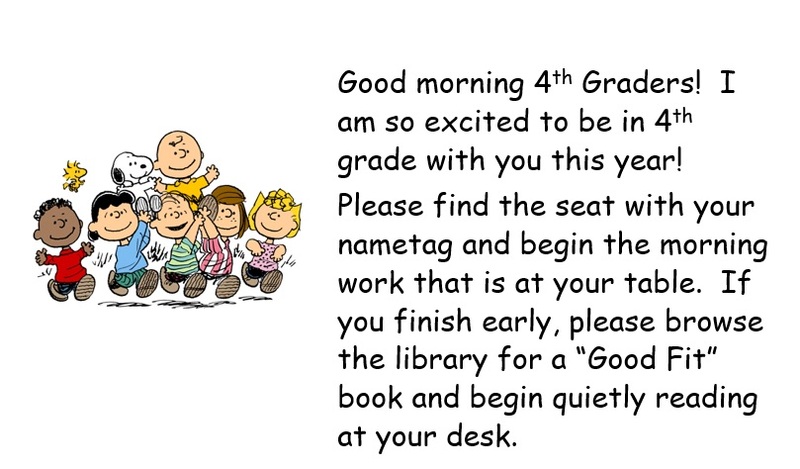 She also sent these cute Snoopy and family tabs to mark places in books - I love these and will be using them to mark my place in Daily 5, CAFE, and the new Lucy Calkin units that I just ordered. I also can't wait to tell the kiddos that these came from my friend in Japan! 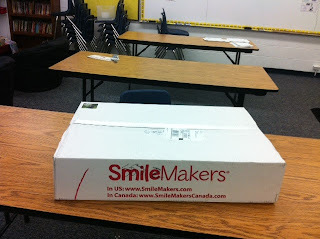 Most of my students haven't been out of our state, so this will be fun for them. 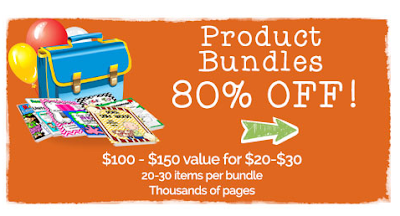 Have you heard about the Teacher's Notebook Product Bundles for sale now through August 18th? 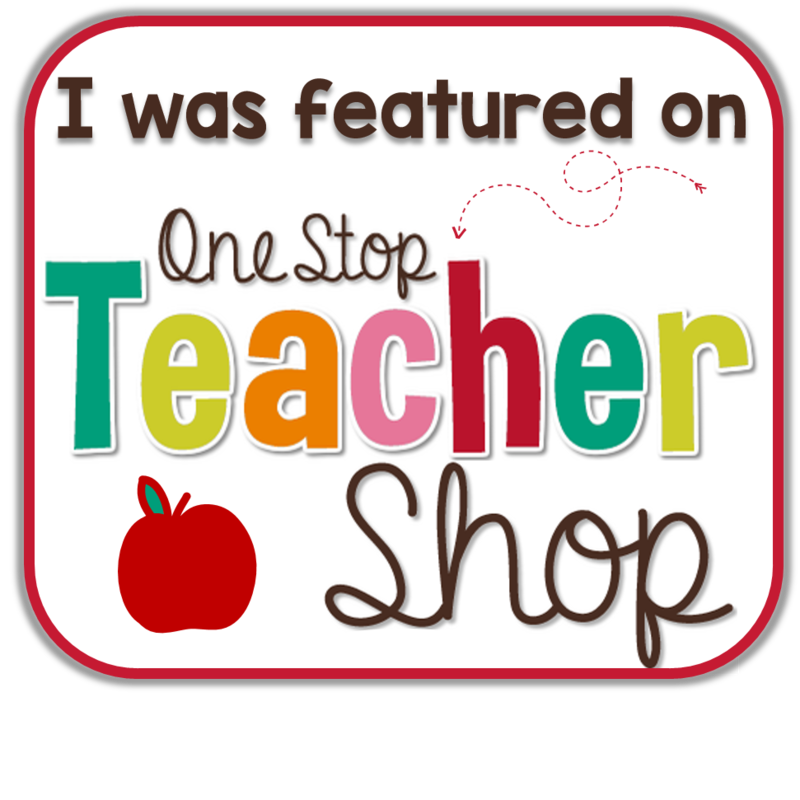 Each bundle includes about $100 in teacher products geared toward a grade range for only about $20! Bundles are always a great way to save money and get some great products! I also have a sale starting tomorrow on all of my Teacher's Notebook store items until August 18th in honor of Back to School. You can save 20%! 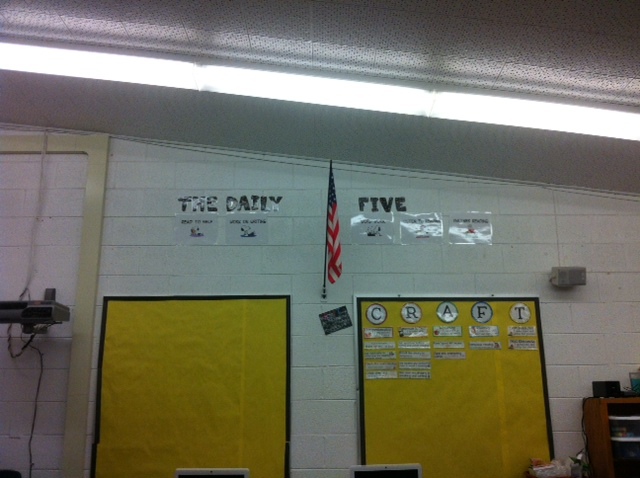 Working in the Classroom Updates and A Contest! I have had this picture pinned on Pinterest forever! 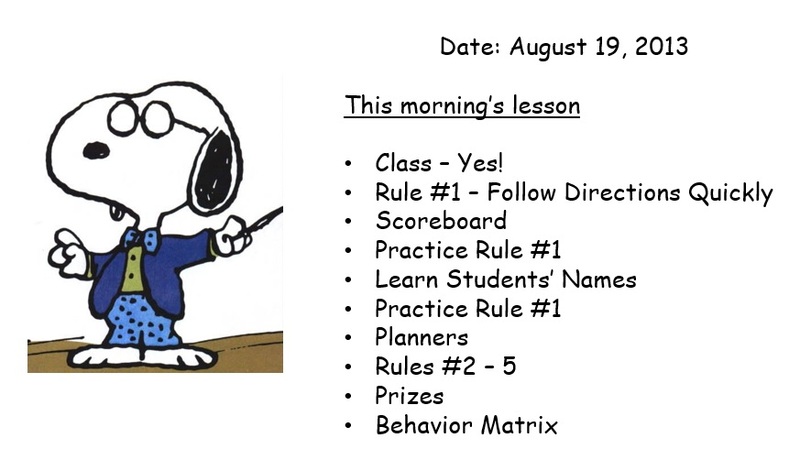 Speaking of following, I hope you are following along because I will be sharing some Whole Brain Teaching Ideas in the next few days, and you won't want to miss it! 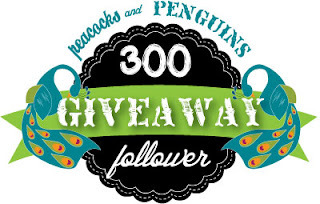 Plus, did I mention there will be some freebies?! Currently - August and TPT follower Giveaway!